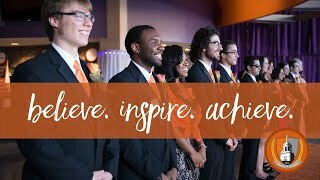 A Performance Improvement Fund grant from SUNY allowed Buffalo State to implement various programs designed to retain students over the summer and into the 2018–2019 academic year. The college was notified of the grant money in February 2018, said Heather Maldonado, assistant provost for academic success. Programs being funded through the grant include a summer bridge program, peer mentoring, and supplemental instruction. “It’s two years' worth of funding,” Maldonado said. Design teams worked from February through June on the initiatives before they were rolled out. Ashley Martin, coordinator for retention services, was brought in around the time the outlines for the programs were solidified, Maldonado said. Martin hired the student staff for the programs. About 400 students are currently enrolled in the supplemental instruction classes. There are four classes running during the fall semester using the supplemental instruction piece, which is built into the grading of the class. Peers who lead the supplemental instruction portions of a class have passed the class previously, as well as met GPA requirements. The idea, Maldonado said, is to teach students how to learn the material, while focusing on technique as opposed to tutoring. 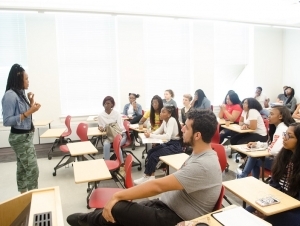 For the summer bridge program through the PIF grant, students took part in an “Academic Success Academy.” Students who participated earned one credit and were general admit students, unaffiliated with programs like Say Yes or EOP. The academy ran for a week, and students participated in classes and events throughout the day geared toward learning to learn, and how to navigate college. The peer mentoring part of the grant is also geared toward general admit students, Maldonado said. More than 350 students signed up. “The call went out, and students voluntarily signed up,” she said. Photo gallery: The Academic Success Academy for incoming students.